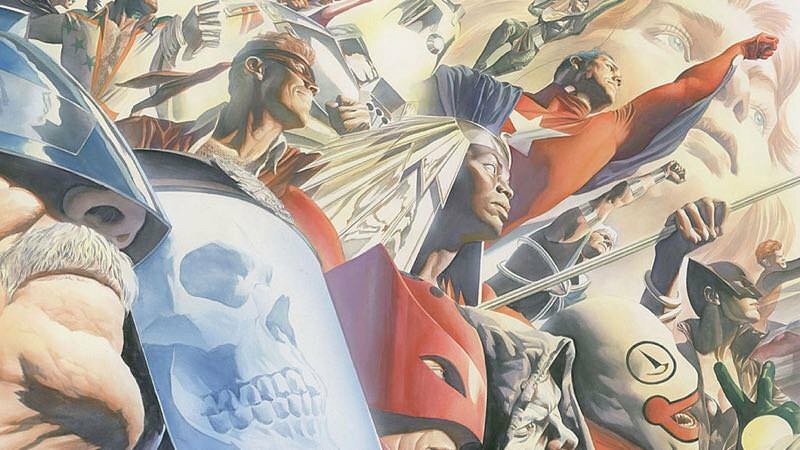 FremantleMedia North America, the studio behind the acclaimed American Gods TV series, has obtained the rights to Astro City. Spanning 16 (and counting) collected, standalone yet loosely-connected story arcs containing more than 2,000 original characters, the fictional Astro City universe explores the lives of ordinary people and those of the all-too-human superhumans in their midst, and their collective, daily struggle to hold on to hope in the face of world-shaking, life-altering events beyond any single individual’s control. A mid-sized American city blessed with, and cursed by, the largest number of superheroes and supervillains in one place on Earth, Astro City is a unique brand of humanistic saga — part superhero epic, part intimate drama — in which the (mostly) good-hearted, workaday residents of the eponymous locale come into daily contact with the worrisome, the weird and the wondrous. Currently published by DC Comics, the multiple award-winning, critically-acclaimed Astro City series, created by writer Kurt Busiek and artists Brent Anderson and Alex Ross has — in the 23 years since its 1995 Image Comics debut — remained a triple threat worldwide: a sales success, critics’ choice, and fan favorite. The property’s vastly detailed story world represents the last, fully-fleshed out superhero universe in the English language comic book business that remains unexploited for the screen. The live-action Astro City series is being produced by FremantleMedia North America, with its pilot episode being written by Kurt Busiek and Rick Alexander. Gregory Noveck serves as Executive Producer of the series, along with Alexander and Busiek. Astro City creator/writer, Kurt Busiek, is one of the most-honored writers in the comics industry today, having won over two dozen industry awards including the prestigious Eisner and Harvey Awards for Best Series, Best Single Issue, Best Writer, Best New Series and more. In addition to Astro City, Busiek’s decades of success in the creator-owned comics space has also included the titles Arrowsmith, Shockrockets, Superstar: As Seen on TV, The Wizard’s Tale, Jonny Demon, The Liberty Project and Ransom. His most recent original comics series is The Autumnlands, with artist Benjamin Dewey. Film and television writer-producer and genre-IP acquisition and adaptation specialist, Rick Alexander, is currently Executive Producer on EuropaCorp Television’s series version of Howard Chaykin’s landmark ’80s sci-fi comic, American Flagg!, and is also developing UK comics creator Warren Ellis’ horror infused military actioner, Gravel, as a feature for Legendary Entertainment. Gregory Noveck, through his Slow Learner banner, is developing George R.R. Martin’s Wild Cards at Universal Cable Productions and James Patterson’s Virgin at Sonar. Busiek was represented by attorney, Harris Miller, and Alexander was represented by Jim Ehrich of the Rothman Brecher Ehrich Livingston agency, and attorney Tom Collier of Sloane Offer Weber and Dern, LLP. Noveck was represented by WME. FremantleMedia North America’s Executive Vice President of Scripted Programming and Development, Stefanie Berk, is overseeing for the studio.